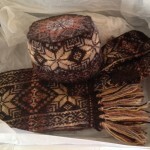 This week I am sharing a treasure that was donated to my personal collection by Carolyn R. McCullen. Carolyn was the recipient of many beautiful handcrafted items as a child that she has given me the opportunity to share with the world. 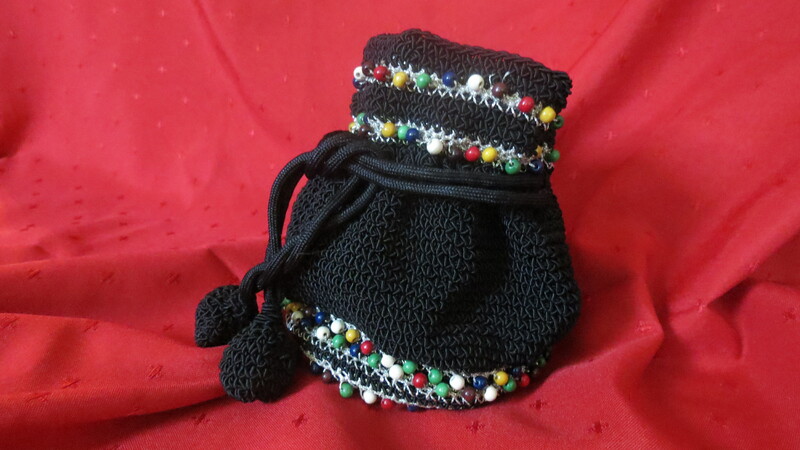 This piece, a crochet satchel style purse in black nylon thread with wooden multicolored beads, was a gift from her grandmother on her 16th birthday in October of 1959. She donned the purse the following May at her junior prom. Similar style purses can be found as early as the mid-nineteenth century in periodicals such as Godey’s Lady’s Book and Peterson’s Magazine and a revival is evident in pattern leaflets of the mid twentieth century. Its beautiful detail and craftsmanship are timeless. 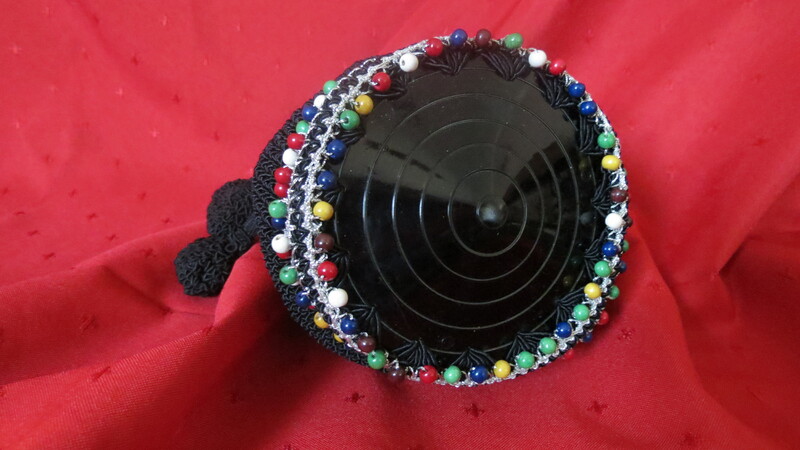 The embossed plastic bottom with shell stitches attaching it to the body of the purse and surrounded by rows of silver thread and beads is exquisite – reminiscent of holiday lights. 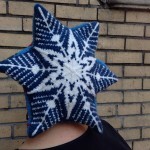 The stores have already begun selling the many facets of the holiday season, and to anyone who knits or crochets, these sights remind us how many projects we have left to finish in the coming weeks. ‘Tis the season for gifting and nothing is more cherished than something handmade – especially from someone you love. The day after Thanksgiving I begin digging out the many containers of decorations to bring the spirit of the holiday into my own home. Nothing in those boxes compares to the sentimental joy I have when I hang the four stockings I knit for my family. Seeing the faces of my children bright with anticipation that they soon will be filled is priceless. The first two were made in my honeymoon years and then one for each of my children. I was thrilled when I was able to find the same kit to make for my first nephew a few years back, continuing the family tradition. Once again a new nephew needs a stocking for Santa to fill and the same kit is in the mail… as I write this I pray it hurries along so I have time to finish it. Cheers to you all busily working your fingers late into the night trying to finish the bounty of gifts you have planned for your family. We would love you to share them with us on our Facebook page or in the comments below.